IF organised a Capacity Building Workshop “Adults, and now?” for Disabled People Organisations of persons with Spina Bifida and Hydrocephalus. The workshop took place on the morning of the 23rd October 2012 at the European Parliament in Strasbourg within the framework of the celebration of the first World Spina Bifida and Hydrocephalus Day. The workshop aimed to increase the capacity of Disabled People Organisations (DPOs) to advocate for the rights of adults with Spina Bifida and Hydrocephalus (SBH). Due to improved medical care, it is predicted that the numbers of adults and elderly people with SBH will rise dramatically over the next few decades. DPOs and governments need to take action now to ensure that these people have access to work and care to lead healthy and active lives. Dima Yared, Human Rights Officer at United Nations Office for Human Rights, Regional office for Europe, presented the United Nation Convention on the Rights of Persons with Disabilities and how to use it to advocate for and promote the rights to work of people with disabilities. Martin Künemund presented the project “We empower Us bh” to share knowledge and good examples to improve job opportunities for people with Spina Bifida and Hydrocephalus. Jackie Bland, Chief Executive of Shine, gave a presentation of the IF position paper on aging of people with Spina Bifida and Hydrocephalus and how to use the position paper to advocate at national level. 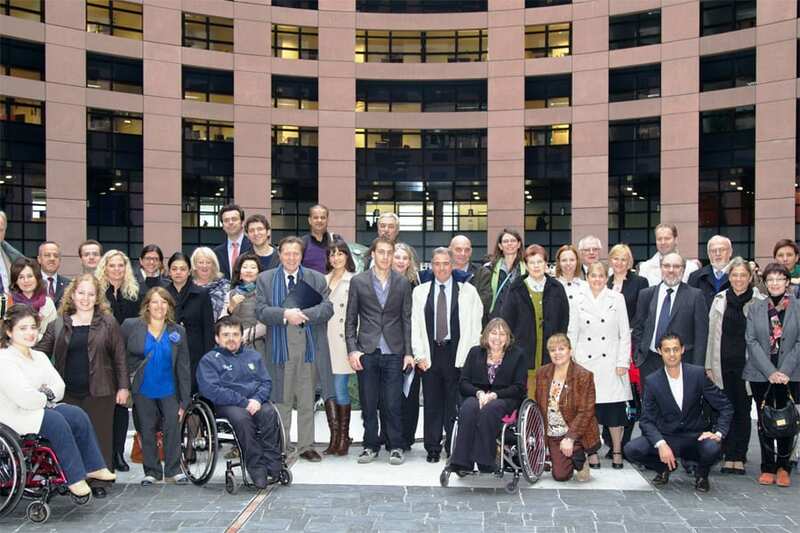 MEP Diane Dodds and MEP Catherine Stihler presented insights into the work of advocacy and networking in the European Parliament for the rights of people with disabilities and engaged in discussions with the participants.